Ragnaroll is a cool original game that just hit Kickstarter. It is set in the Norse end times of Ragnarok. Each player controls a dwindling clan of vikings, shivering in the endless night. Supplies are running low, and a dishonourable death through starvation beckons. Unless you can stave off your fate by stealing food and supplies from your neighbours! In true viking style, Ragnaroll encourages players to raise one another and the last clan standing is the winner. 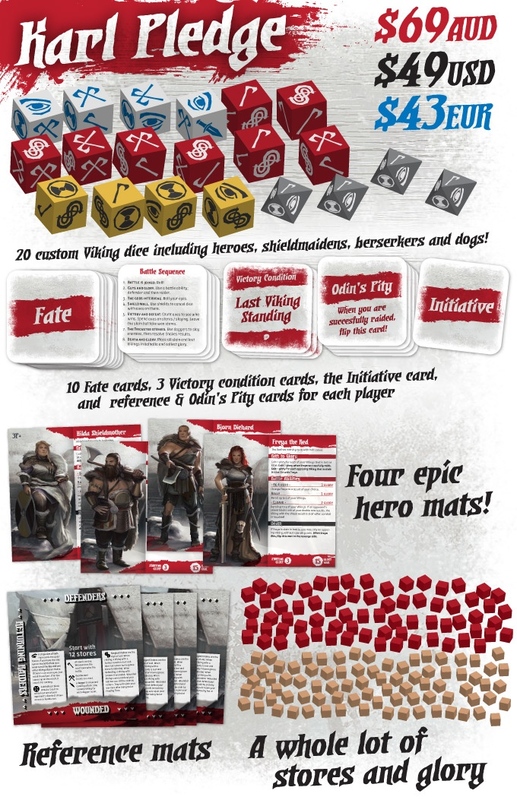 The game comes with an assortment of custom dice to represent your clan, event cards for the game, and a board for each clan and cubes to represent supplies. The page is well worth a look. This entry was posted on September 26, 2015 by davekay in Crowdfunding and tagged dice, kickstarter, norse, ragnaroll, viking.